As I was investigating the FEMA camp run and maintained by the Chicago PD, I kept running into the topic of privatized prisons. I first wrote about privatized prisons almost seven years ago. Subsequently, I decided to take a fresh look and what I found was shocking. The privatized prison industry owns and controls nearly every elected official. State officials are literally “stealing” money from education and putting that money into the privatized prison system. Most states have guaranteed privatized prisons 100% occupancy rates and the conditions of these prisons are increasingly barbaric and clearly fit the definition of slave labor. There are over two million inmates in American prisons, or one in 743 people. Communist China, which has five times the population of the United States, has 500,000 less inmates. The United States has only 5% of the world’s population, but has 25% of the world’s prison population. In 1972, the U.S. had less than 300,000 inmates. By 1990, the incarceration rate had skyrocketed to one million and by today, the rate has more than doubled again. Again, I ask why? 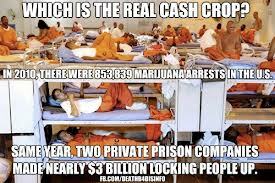 Because there is very big monied interests behind the growth industry of privatized prisons. According to Charles Campbell, author of The Intolerable Hulks (2001), the privatization of the prisons movement has its origins in the Revolutionary War period. England began to put undesirables and prisoners on prison ships. The U.S. fully embraced the use of private prisons during the Reconstruction Period (1865-1876) in the South, following the Civil War. Plantation owners and business owners needed “free” replacements to compensate for the loss of their previous slave laborers. In 1868, convict leases were awarded to private business interests in order to bolster their labor workforce and the practice continued until the early 20th century. Today, this practice has been taken over by private corporate interests who are increasingly taking over our prison system and this unholy practice is no less exploitative than the slave labor abuses of the past and as in all forms of slavery, it is being fueled by profit. In California, state government spends more on prisons than on colleges. The Center on Budget and Policy Priorities shows that the growth of state spending on prisons in recent years has far outpaced the growth of spending on education. After adjusting for inflation, state general fund spending on prison-related expenses increased over 140 percent between 1986 and 2013. 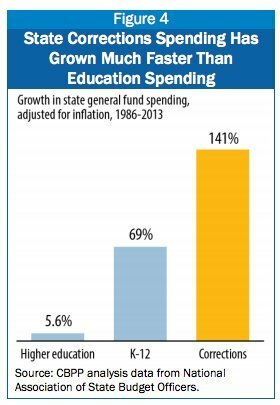 During the same period, state spending on K-12 education increased only 69 percent, while higher education saw an increase of less than six percent. Last year, the NAACP decried the trend towards spending more money on privatized prisons than on education! Rates of violent crime and property crime have actually fallen over the years, even while incarceration rates have risen. Therefore, it appears that states’ more aggressive incarceration policies are behind the higher prison rates. Private prison companies have been accused of supporting and even sponsoring legislation such as “three-strikes,” “truth in sentencing” and harsh immigration enforcement laws, which drive up incarceration rates. From the beginnings of the privatized prison system, in the early 1980s, both CCA and GEO, the two largest private prison corporations, were politically-connected. CCA co-founder Tom Beasley was a former chairman of the Tennessee Republican Party and had served on a committee that selected the head of Tennessee’s prison system. “These policies which have led to longer prison sentences and more people being incarcerated, through their Political Action Committees (PACs) and contributions by their executives and employees, private prison companies have given over $6 million to state politicians and more than $835,000 to federal lawmakers since 2000, according to the JPI report”. The privatized prison corporations are buying off the politicians to put more people in prison for longer periods of time and they are doing so with our money. More prisoners equates to more profit for private prison companies, and the greatest success of the CCA and the GEO has been in the federal system where the number of prisoners held in privately-operated facilities has grown at an average annual rate of 10%. According to the Pew Center in their study The Long Reach of American Corrections (March 2009), it costs nearly $79 per day to house an inmate which is 20 times the cost of putting someone on probation. Wouldn’t it make sense to sentence nonviolent offenders to probation and save the taxpayers’ money? Of course it would, unless you are Vanguard Investments, the largest owner of privatized prisons in the form of the Correctional Corporation of America (CCA), GEO (2nd largest private prison company), Wackenhut, Viacom, AOL Time Warner and they are all controlled by the Vanguard Family of Funds. You remember Vanguard don’t you? The problem of prison slave labor, goes right to the top of this government and these corporations have a powerful political ally. This is the same Vanguard that moved money prior to the Gulf Oil Explosion in a manner which made massive sums of money for key investors in the same manner as did Transocean, Goldman Sachs and Halliburton. And one of those insiders that benefited from the Gulf Oil Explosion was President Obama as he was vested in Vanguard I and Vanguard II. The late Bob Chapman reported on this Obama conflict of interest as did I in an earlier article. Obama’s corruption is not limited to his investors having and acting on foreknowledge of the Gulf Oil Explosion, he is an active investor in the slave labor motivated Prison Industrial Complex. 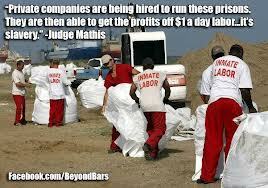 President Obama benefits and profits from prison slave labor. Many of Wall Street’s giants have been invited to the party and are reaping huge profits. The following is a list of the corporations that contract with CCA and GEO to produce American slave labor goods. They include Intel, Northern Telecom, TWA, Nordstrom’s Boeing, Motorola, Microsoft, AT&T, Wireless, 3Com, Revlon, Macy’s, Pierre Cardin. Texas Instrument, Dell, Compaq, Honeywell, Hewlett-Packard, Nortel, Lucent Technologies, Target, and countless more. All of these businesses are excited about the economic boom created by prison slave labor and most actively lobby for mandatory sentencing. Generally, prison inmates in state run penitentiaries generally receive minimum wage for their work. In Agenda 21 controlled Colorado, they only receive about $2 per hour, well under the minimum for state run prisons. However, Colorado inmates are rich compared to inmates in privately-run prisons where they can receive as little as 17 cents per hour. This is worse than Walmart slave labor in China! The highest-paying private prison run by the CCA pays 50 cents per hour for “highly skilled positions.” I am not sure how this is even legal as I do not remember reading anything about the 13th Amendment being repealed. If there is a silver lining as America has found an antidote to the loss of manufacturing through the various free trade agreements (i.e. NAFTA, CAFTA). Unfortunately, prison slave labor is the solution. 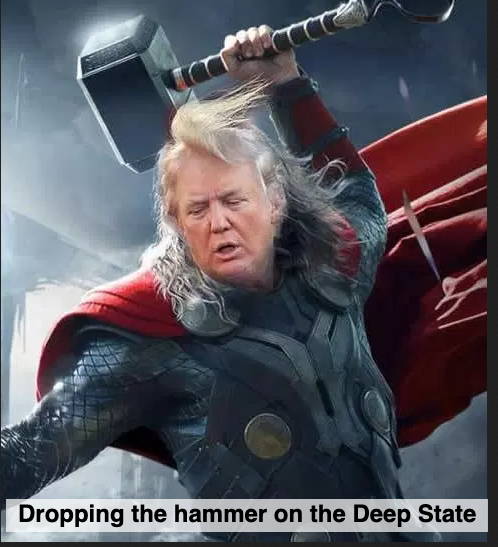 The Left Business Observer identifies private corporate interests benefiting from prison slave labor which includes the manufacturing of “93% of all paints and paintbrushes; 92% of stove assembly; 46% of body armor; 36% of home appliances; 30% of headphones/microphones/speakers; and 21% of office furniture.” This is a kind of Walmart for prisons and your State Legislatures are promoting this as a kind of cost savings, but they guarantee 90-100% prison bed occupancy rates. And we wonder why mandatory sentencing has replaced judicial discretion when deciding the disposition of a criminal case. Sadly, this is only the tip of the iceberg. In these normally overcrowded prisons, inmates may get their sentences reduced for “good behavior,” but for any violation of prison rules, they get 30 days tacked on to their sentences. I thought only a judge, under the Fifth Amendment due process provisions of the Constitution, could impose a prison sentence. This translates into more profits for CCA. According to a study of New Mexico prisons, it was found that CCA inmates lost their “time off for good behavior” at an 800% higher rate than inmates in state run prisons. CCA’s prisons are notoriously understaffed and this under-staffing leads to more acting out by the inmates which in turn leads to longer sentences resulting in more profit. Therefore, one of the profit motivators for CCA is administration by neglect. In other words, they make more money if the prisons are poorly run and decidedly more dangerous. In New York, Nelson Rockefeller’s heralded anti-drug law, initiated in 1973, provided for a mandatory prison sentences of 15 years to life for possession of four ounces of any illegal drug. Fifteen years to life for possessing four ounces of marijuana? Mr. Rockefeller, what could possibly be the motive for such strict drug laws? Answer, the same motive on why Obama has his money in Vanguard. Besides Nelson Rockefeller, the privatized prison system has enjoyed having low friends in high places for a very long time beginning with Nancy Reagan’s “Just say no” and her husband’s War on Drugs program. Ironically under Reagan, his CIA traded guns for drugs in the Air America Iran-Contra Affair. Enter former president, George H. W. Bush, and an ex CIA director, and things only got worse. Bush helped fuel the growth of the industry during his presidency. And upon leaving office, he became a player in privatized prisons. Under Reagan and Bush, Federal drug laws became more draconian. Presently, Federal law mandates five years imprisonment with no hope of parole for possession of five grams of crack or 3.5 ounces of heroin. Further, Federal law provides for 10 years imprisonment for possession of less than two ounces of crack. A sentence of five years for cocaine powder requires possession of 500 grams. This puts the United States on a par with nations like Turkey with regard to excessive sentences handed out for simple drug possession. There can only be one outcome from this trend curve, more slave labor and a lot more smiling faces on Wall Street. Let’s take my state, Arizona, and let it serve as a case in point with regard to this troublesome issue. Critical services, such as road repair and education funding, are being obliterated in the name of supporting the growing cancer of privatized prisons. New Arizona Governor, Doug Ducey, has begun his push for lawmakers to spend an additional $70 million a year to house more inmates in private prisons. Ducey wants to build another private prison in Arizona. This is coming at a time when the State of Arizona owes the public schools $1.3 billion in voter mandated fees. The courts have upheld the state’s debt to the schools but the Governor refuses to release the funds. The Arizona Governor and the State Legislature are stealing money from the classroom and handing it over to the privatized prison system. Of course, Ducey could use the universal excuse of all children, “that everyone else is doing it”, and he would be correct as this is a nationwide phenomenon. I would encourage all readers to look into your state’s practices in this area. You will find that the majority of the legislation that results in locking people up for minor offenses and for longer periods of time, originates out of the American Legislative Exchange Council (ALEC) and this is why “Truth in Sentencing” is the same in New York as it is in California. These laws are being written by the CCA lobbyists at ALEC functions, in which 2,400 State Legislators attend and they are handed “model legislation” to take back home and subsequently mandatory sentencing becomes the law of the land. Ducey is so bought and paid for that even a fellow Arizona Republican, State Senator, Sylvia Allen, R-Snowflake, wants to know why the prison population, after leveling off for several years, has taken a sudden jump. She asked about the state’s 1994 “Truth in Sentencing” law that requires inmates to serve at least 85 percent of their sentence before being released. I am certain that if Allen wants to return for another term, she will quietly fade away as she will be chastised by the Republican party and will be defeated with PAC money from CCA and GEO. 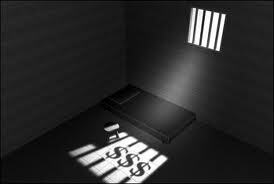 The present privatized prison system operates on the same principle and it is quite effective. The average person is sentenced from 5-7 years in prison. There is no rehabilitation, only the prison life which produces a more hardened criminal. 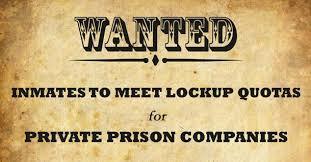 When the convict is released, they find it virtually impossible to get a job because of their ex-con label. Within three years of release from prison, 90% of all prisoners return. Can you imagine if every restaurant had a 90% return rate from its customers? 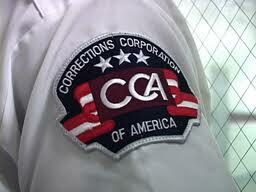 The private prison business may have the best return on investment in America. Should we really be concerned about the “FEMA camp” in Chicago? Apparently not. Please consider the following quote as it leaves one concluding that what is going on in Chicago is the status quo with regard to incarceration practices within the United States. We are witnessing a convergence of incarceration practices under one philosophy. Soon, every lock up facility will be run like the Chicago FEMA camp. Since the advent of privatized prisons in 1984, America has witnessed the passage of laws that require minimum sentencing, without regard for any extenuating circumstances. 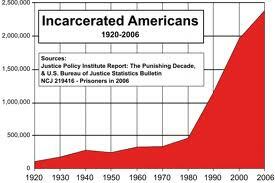 Our prison system is experiencing a much larger percentage of work by prisoners, thus creating profits for Wall Street which in turn motivate the incarceration of more people for longer periods of time. 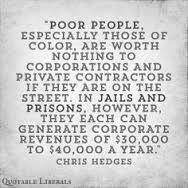 And privatized prison corporate investors make happy campaign contributors. Therefore, you can bet that the proverbial poop rolls down hill to the cops and the push is on to incarcerate more and more. Some argue that is fine, but when one of the fastest growing segments of our prison population is children, we all need to sit up take notice and take action. Again, this system is very effective and efficient. With only five percent of the world’s population, the United States has over 25% of the world’s prison population. As a people, we are very ingenious as our corporations have learned to make money from virtually any life circumstance. Do your kids have a “get out of jail card”? What do I mean? Part two will look at how the system is designed to funnel children directly into prison and the problem is growing at an exponential rate. Are you willing to allow your child to become a slave to your state’s private prison system? If not, part two of this series is required reading.